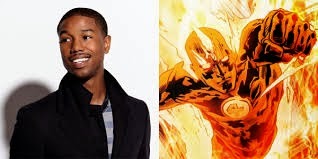 I read Joseph Philip Illidge's brilliant and insightful breakdown on the casting of Michael B. Jordan as The Human Torch, Johnny Storm in the Fantastic Four film reboot. Apparently, the casting of a black actor to play a white character is creating quite the (wait for it) storm. I have a couple of opinions about this. I'm a new dad. I have two sons. They are from India by way of Ukraine. When my wife and I found out that our option to become parents became adoption, one of my best friends pulled me aside and told me not to limit my options. My friend told me not to be hung up on what my kid looked like. When you become a parent, your child is your child. No matter what. It's like any relationship really. You accept all the baggage that comes along with your partner and spouse. You accept your kids. You accept your parents. I love both my boys. More importantly, I want them to see something of a reflection of themselves around them. Not all heroes look like Harry Potter; or James Bond; or Doctor Who. Not every villain looks like Darth Vader and has the voice of James Earl Jones. Some of them look like actor Idris Elba. He's Heimdall in the Thor films. He was in The Losers, an adaptation of a DC comic book, Prometheus, Pacific Rim and Mandela, among other fine films. 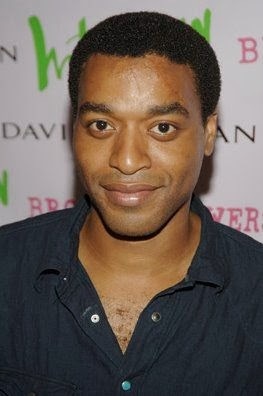 Some of them look like Chiwetel Ejiofor, star of Serenity, Salt and Twelve Years A Slave. Others look like Samuel L. Jackson, not to be confused EVER with Laurence Fishburne. You don't ever want to confuse Nick Fury with Morpheus. So, as a dad, I want my kids to see something of themselves in the entertainment they enjoy. Just like when I was a kid, I identified with Peter Parker. Now, as a comic book fan, it is always cool to see what I enjoy in comic books show up on television or in movies. I know that reading a comic book is a different kind of experience from watching a television show or a movie. It is amazing to look back on the comic books I've enjoyed growing up as a kid, and seeing just how white they are. 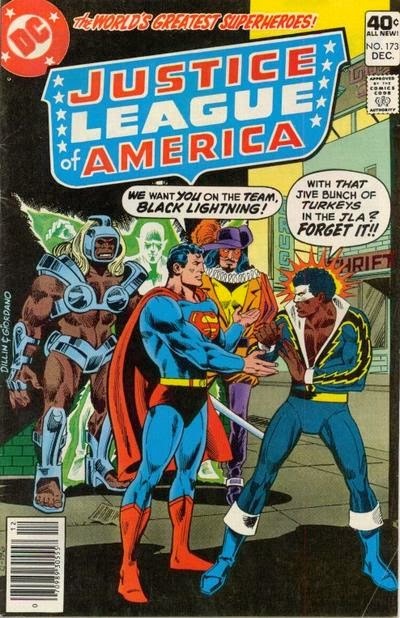 I'm embarrassed that one issue of Justice League of America pretty much hazes Black Lightning under the guise of recruiting him. Until the Justice League animated series debuted on Cartoon Network with John Stewart as Green Lantern, the team was pretty much WASPy. But then, so was every other comic book team or character. minorities have always been subordinate. What Illidge points out, is that Nick Fury was re-imagined as black, and based on Samuel L. Jackson in The Ultimates, and then Samuel L. Jackson played Nick Fury on film. Remember when David Hasselhoff played Nick Fury. No? No one does, so don't worry. 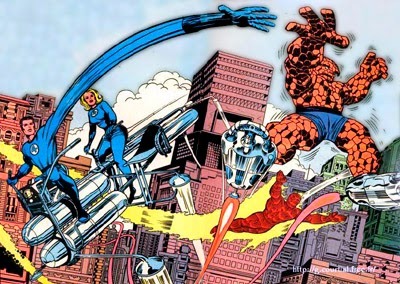 The Fantastic Four has been re-introduced to new fans a number of times. As Illidge again points out, when Ultimate Nick Fury was introduced as Samuel L. Jackson, Ultimate Fantastic Four introduced yet another white quartet. Fantastic Four was re-introduced previously as "Heroes Reborn"; and twelve months later as "Heroes Return". There have been several all-ages iterations of the team. None of them introduced any diversity to Marvel's First Family. 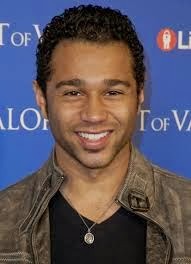 Corbin Bleu, from Catch That Kid, Jump In and the High School Musical trilogy as the brilliant genius leader Reed Richards. I want my kids to see that intelligence and brains are color-blind. Any one can be the guy that comes in and saves the day with the right gadget he just MacGuyvered. Most of the people responsible for creating comic books were adult white males. So what did they create? "Mary Sues". They created reflections of themselves. The reality is they saw a white world so they created one in comics. High School Musical trilogy alum Vanessa Hudgens as Reed's girlfriend, and future wife, Sue Storm. She's the glue that holds Reed, Ben and her brother Johnny together. Remember those adult white males that created comic books? Not only did they not see a racially diverse world, they didn't any diversity in gender. There are either characters like Wonder Woman or She-Hulk, or what Sue originally started out as: window dressing. In the early issues of Fantastic Four Sue actually pined for Namor, the Sub-Mariner. Over time she's been developed into more of a working mother, kind of reflective of the real world around her. I would not cast Michael B. Jordan as Johnny Storm. Let me tell you why. I can't see the rash, impulsive member of the Fantastic Four as black. To me, that's stereotypical. Let's make the "hothead" black. Either he'll be like Will Smith, Martin Lawrence, Chris Rock, Kevin Hart or Chris Tucker - you get the point, right? Or, he'll be mature, straight forward and serious, which won't work either. I would go Victorious, Rags, and Spectacular actor Avan Jogia. Why? Because Sue and Johnny are siblings. Brother and sister. Kate Mara and Michael B. Jordan could work as brother and sister. Mixed race parents. Adoption. Whatever. Avan Jogia and Vanessa Hudgens make sense as family. The Fantastic Four is about family. I know from experience that you can build a family; you can blend a family. That's what the First Family is all about: family. Ben Grimm is just as important a character as the rest of the Fantastic Four. I liked the chemistry between Chris Evans' Johnny and Michael Chiklis' Ben. I'm not sure a guy like Dave Batista would fit with such a young group, but I do think that Ben needs some bulk; some build. If not Batista, then another WWE figure. Or, some one that can bulk up and put on some guns as Ben, so The Thing isn't such a drastic transformation. I would think that if any thing, Ben Grimm should be white, and Jewish like he is in the comic books. Ben should be the "token" white guy. James Robinson and Leonard Kirk relaunch Fantastic Four with a new #1 issue on Wednesday. Jack Kirby and Stan Lee originally launched the team with a #1 in November of 1961. A lot has changed in 53 years, and yet, not much. As both a dad and a comic book fan, I think it is time comics reflected some things, like diversity. I want my boys to see that they can become any thing they want. The only way they can see that is if they do see it.